The Totally Wicked Odyssey CLL Tank is a new member of Totally Wicked. 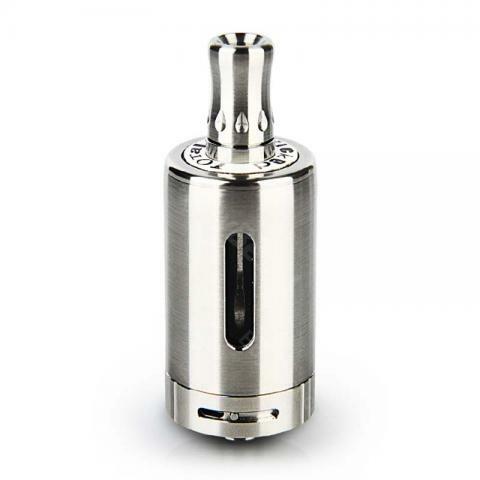 It equipped with 4ml large e-juice capacity and 22mm diameter. The Totally Wicked Odyssey CLL Tank will bring you an excellent vaping. Totally Wicked Odyssey CLL Tank is the most robust tank from Totally Wicked so far. With adjustable airflow and the ability to use the hugely popular CL range of atomizers, it's set to be the last tank you ever need. • Elegant glass and stainless steel tank with soft curves, full airflow control, and a specially designed stainless steel wide bore mouthpiece. • Offers the “open draw” of the latest CL atomizers. 1.0-ohm coil option and an optimized range of airflow adjustment allow full control over your draw. • Utilize CLR atomizers giving complete customization and tailoring of your vaping experience. • 510 thread. But it's not compatible with all Odyssey devices. • It's compatible with eGo one series coils. Totally Wicked is proved to be my new trusted brands. Good little tank, not much vapor production but really good flavor for the cost. I love the name of Odyssey, classical and poetic. The tank is original with trusted quality. Eleaf iStick Basic Kit with GS-Air ist für Starter perfekt, sie liegt gut in der Hand und ist nicht schwer zu handhaben! über USB Kabel aufladbar , und das übersichtliche Display ist super!